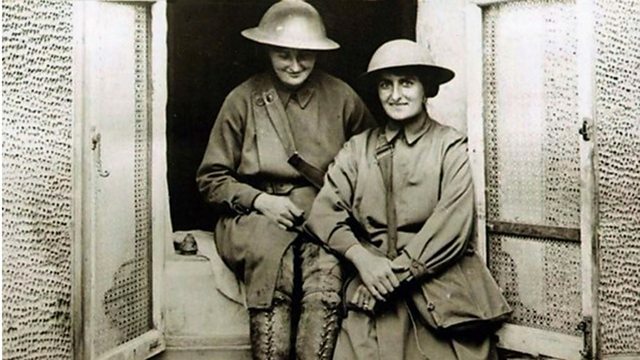 During World War One, two British nurses set up a first aid station just a few hundred metres behind the trenches of the Western Front. During World War One, two British nurses set up a first aid station just a few hundred metres behind the trenches of the Western Front. Mairi Chisholm and Elsie Knocker became known as 'the Madonnas of Pervyse'. Mairi Chisholm spoke to the BBC in 1977, Lucy Burns has been listening to her story.